NEW PRODUCTION: WHO ARE YOU? 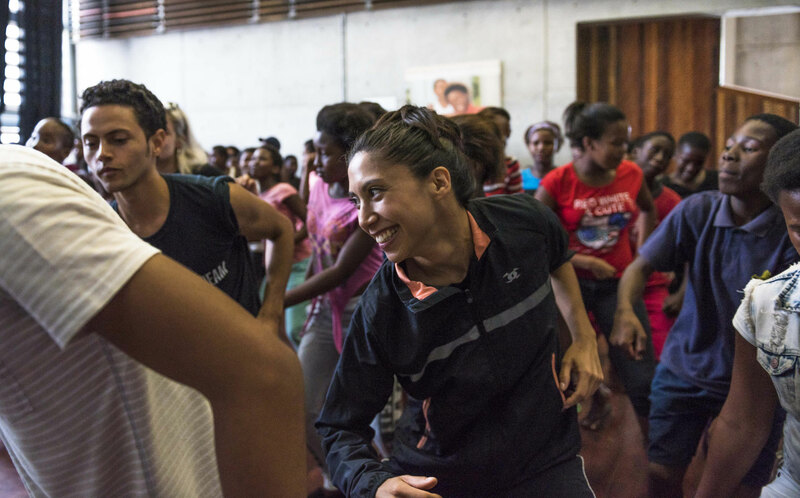 Dancer Estela Merlos travelled with Dane Hurst to the Ubuntu Education Fund, Port Elizabeth in April 2016 to deliver a two week long programme of dance workshops to a group of over 60 children. 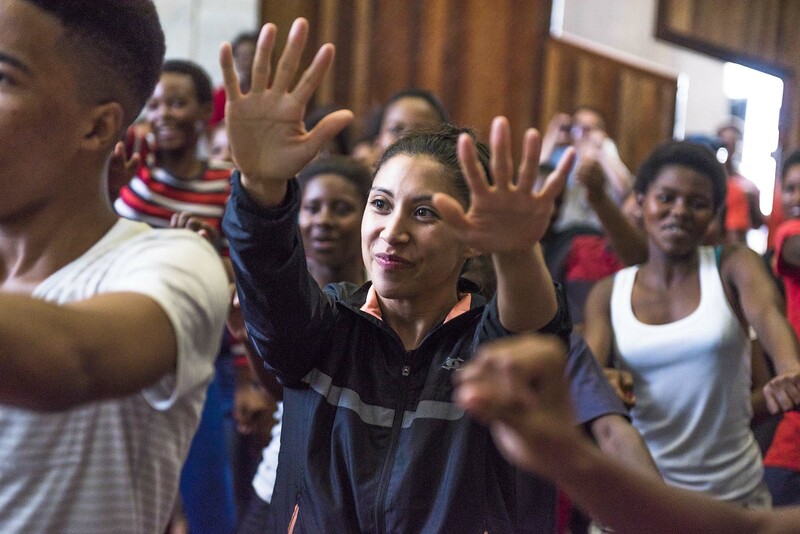 The first couple of days of our workshops at Ubuntu presented a new challenge for the students, many of whom were completely new to dance – seeing us stretching and warming up was enough for some to prompt expressions of insecurity and trepidation at the prospect of getting involved in dance. A lot of them simply couldn’t see themselves dancing at all but after a few days working in the studio together they began to develop the conﬁdence to express themselves through movement. Gaining their trust in us and their trust in each other was critical to dissolving their insecurities allowing enthusiasm and determination to come to the surface. The students showed fantastic progress physically and mentally, both towards the warm up classes and the commitment to the creation of the piece. As the first week unfolded I could really see that we were reaching the students and opening a new door of possibilities for them. 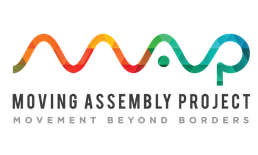 The experience has truly reinforced my decision to carry on working with Moving Assembly Project. 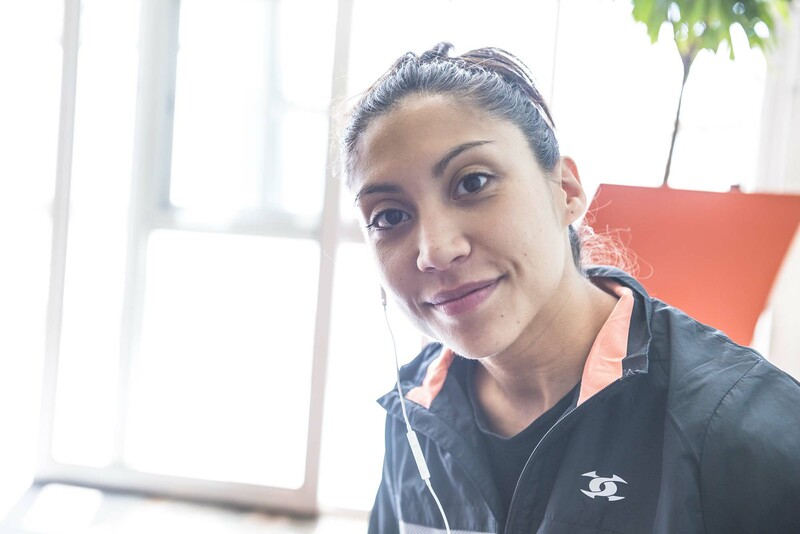 It feels a very rewarding experience on both sides: for us as teachers and for the students. The workshops were an opportunity for the students to try a different way of expressing themselves and acquire a better understanding of movement, coordination, space, musicality and discover a new way of communicating with their peers. It was vital for them to ﬁnd out about Dane’s background, I think it gave them inspiration and hope to pursue any artistic potential and talent, even if it wasn’t in a dance context. I personally think these two weeks have given them a new perspective and motivation to push towards their ambitions. For me as a dancer it was an incredibly fulﬁlling experience, not only artistically but also on a personal level. It was the ﬁrst time I had been involved in leading such a large group of participants from a different culture and background to mine. In order to get the students trust and respect I had to be more sensitive and patient than I might normally be in an environment where dance has been taught previously. I certainly gained a deeper understanding of the psychological skills required to teach students from difﬁcult home situations who might not be readily interested in dancing or lose motivation quickly. The Ubuntu Education Fund is an organisation providing educational support to vulnerable children in Port Elizabeth to 'help raise township children by providing what all children deserve – everything'. She reflects on her experience with Ubuntu and MAP. Your data will not be shared with any third parties and you can unsubscribe at any time. Supported by Individual Donations with developmental support from The Dancers' Career Development, The Africa Centre, Harlequin and The Linbury Trust.